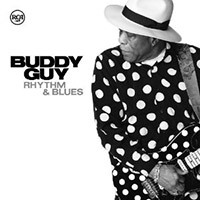 There’s so much to like about Buddy Guy’s generous, double-CD set (respectively but misleadingly named Rhythm’ and Blues), beefed up on several stellar tracks by the Muscle Shoals Horns, but featuring a curiously eclectic guest roster. The Chicago veteran has been a frustrating performer over the years. 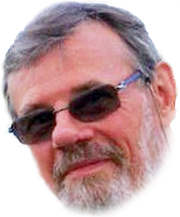 He ranks among the top echelon of blues singer-guitarists, but his prolific output can be erratic. In concert, he often digresses by "educating"’ his audience about the history of the blues when most just want to hear him stoke up that Stratocaster. Guy’s compulsion to pass on the torch to new generations is understandable, having developed his prodigious technique alongside the likes of Muddy Waters, Willie Dixon and Howling Wolf. He also famously influenced Jimi Hendrix, plus a flock of white acolytes, from Jimmy Page, Eric Clapton and Jeff Beck to Stevie Ray Vaughan, Rory Gallagher and Gary Moore. So if the new album’s many musical highlights are undermined by the odd lowlight, maybe we should cut him some slack. Guy’s regular drummer Tom Hambridge had a big influence here: he produced the sessions and co-wrote 18 of the 21 tracks. As for the guests, they range from mild country balladry with Keith Urban on One Day Away to white rapper Kid Rock hamming it up on Messin’ With The Kid – an oldie I recall Guy performing with the late Junior Wells. Three members of Aerosmith have a ball on the slow-rocking Evil Twin, Beth Hart sings up a storm with Guy on the big, brassy What You Gonna Do About Me and Gary Clark Jr helps roll out some taut Texas boogie on Blues Don’t Care. The opener, Best In Town - a horn-infused, semi-autobiographical declaration underscored by incendiary guitar - is also among the album’s best along with the soulful, eloquently restrained blues ballad, I Go By Feel. Other standouts include the slow-swinging What’s Up With That Woman and Guitar Slim’s Well I Done Got Over It – both horn-backed, significantly. Meet Me In Chicago cleverly combines local tradition with southern rock overtones, then cranks out some of the baddest blues playing I’ve heard for a while. Ever the flamboyant showman, Buddy Guy, certainly hasn’t slowed down at 77, and one listen to Rhythm & Blues confirms he’s in no hurry to exit the fast lane.